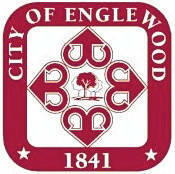 ENGLEWOOD — City council Tuesday approved the city’s 2019 street resurfacing program (Resolution 12-19) involving the extension of a contract with the John R. Jurgensen Company, which has handled the annual paving project for many years. Last year Jurgensen informed Englewood it would more than likely have to increase the fee for the annual street resurfacing program. However, Jurgensen agreed to hold their unit price at the same level as in year’s past at a cost not to exceed $450,000. The project involves 28 streets: White Clover, Meadowsweet, Wynfield, Parkview, Tradewind, Woodridge, Terrahill, Halfacre, Doris, Lau Parkway (from Harco to cul-de-sac), East Wenger (from Haas to Main Street), Denwood (from Union to Pauly), Fallview (between Alta and Main Street), Oldham Way, Angelia, Little, Kelly, Rohr, Silverstone, Brownstone, Snowglen, Woodside, Wolf (base replacement plus paving between Walnut and Albert), E. National, Valleyview/River Road, Heather (EGC to Union), Sagebrush, History Lane/Tully Lane. In addition, the Ohio Department of Transportation is expected to repave W. National Road, a project that had been slated for 2018 but was postponed after ODOT received higher bid process than expected. “I went through the list and figured how many years it had been since the streets had been resurfaced and it kind of averages out to 12 years, which is pretty good,” Mayor Patricia Burnside noted. Smith noted that there are some other areas surrounding Englewood that need improvements to their roads as well. Smith said he negotiated with the company to get the same unit price again this year, but he stated that he was confident that this would be the last year the paving could be executed at the same price. Mayor Burnside asked why the section of Wenger Road where the water line was replaced wasn’t included in the project. Smith said only that section of Wegner where the line was replaced would be grinded out and patched and then resurfaced, but not the entire road. Wolf Avenue from Walnut Street to Albert Street will have a water line repaired and then have all of its asphalt grinded down with a new base put in before repaving the street with three inches of asphalt.